Whether it's active ground operations or peace keeping, tanks are regarded as an essential means of artillery support. Army Technology profiles the third generation of main battle tanks, including the ever-reliable Challenger 2 and M1 Abrams series, to identify some of the most relied upon MBTs. The M1A2 Abrams MBT, as used by the US Armed Forces. Image courtesy of Staff Sgt. Aaron Allmon, US Air Force. The UK's Challenger 2 MBT, dubbed the world's most reliable battle tank, is also used by Oman. Just two have been lost in service due to enemy fire. 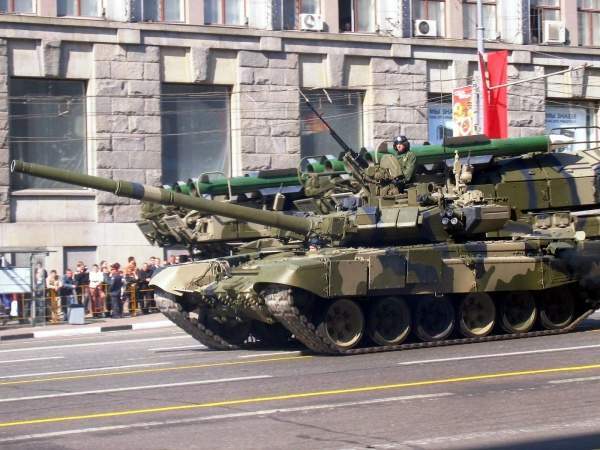 The T-90 MBT paraded through Moscow in Russia. Image courtesy of Vovan. The latest variant of the Leopard 2 MBT, the 2A7+. Image courtesy of www.armyrecognition.com. China's third generation battle tank, the Type 99. India's Arjun MKII has tested positively when compared to Russia's T-90. Image courtesy of Ajai Shukla. The third and current generation of main battle tanks (MBTs), including the ever-reliable Challenger 2 and M1 Abrams series, have become the focal point of a nation’s ground arsenal. Relied upon to offer artillery support and act as deterrents, their use in major ground operations and peace keeping forces has become almost expected. As details of the latest variants of these vehicles, such as the M1A3 Abrams and Type-99KM, begin to emerge, the role of the MBT has become all encompassing. Increased protection in the form of revolutionary armour and ‘invisibility’ cloaks has been coupled with next-generation kinetic rounds and smoke grenade-dispensers to provide a complete artillery solution to armed forces. "Relied upon to offer artillery support and act as deterrents, their use in ground operations and peace keeping has become expected." The M1 Abrams MBT, designed for modern ground warfare, has been in service since 1983 and has undergone various overhauls and upgrades in its lengthy operational history. Three main versions have been deployed – M1, M1A1 and the M1A2 – with a fourth variant, the M1A3, currently under development. Developed during the height of the Cold War, the M1 Abrams was designed to replace the MBT-70, cancelled by US Congress in 1971 due to spiralling costs and development failures. 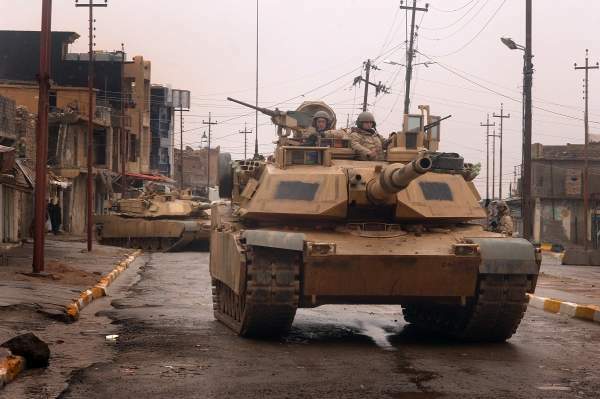 Before the M1 Abrams would even experience ground combat, the M1A1 variant replaced it and entered Iraq during the Gulf War in 1991, aiding Operation Desert Storm. Of the 1,848 deployed, just 23 were damaged or destroyed over the course of the war. The M1A2 further improved upon the M1A1’s combat profile, upgrading the tank’s fire control system. The M1A2 system enhancement package complemented the upgrades with digital maps and Force Battle Command Brigade and Below (FBCB2) capabilities, whereas depleted uranium armour has been added onto all variants. The M1A3 is currently in its early design period with the US Army, with prototypes expected to be produced by 2014 and fielding tentatively scheduled in either 2018 or 2019. Despite the M1A3 promising to offer upgraded equipment and capabilities, shaped by the US Army’s experiences in Afghanistan and Iraq, the US Army expects the M1A1 to remain in service until at least 2021, and the M1A2 until 2050. Advertised as the world’s most relibable MBT, the Challenger 2 is the UK army’s battle tank of choice and has been in service since 1998. As of January 2011, only two Challenger 2 MBTs have been damaged in combat through enemy means. An almost complete redesign of its predecessor, the Challenger 1, the vehicle has seen operational service in Bosnia, Kosovo and Iraq, suffering no losses to enemy fire during the complete 2003 Operation Iraqi Freedom. Famed for its survivability, one Challenger 2 is alleged to have survived being hit by 70 RPGs in one incident near Basra, Iraq. Vickers Defence Systems, now BAE Systems Land Systems, began developing the Challenger 2 in 1986, with the UK Ministry of Defence eventually submitting a £520m order for 127 MBTs following the completion of three milestones of progress for the vehicle. This was followed by a further order for 259 vehicles worth £800m, placed in 1994. To date, 446 Challenger 2 vehicles have been constructed for use by the UK and Oman armies. Accommodating a crew of four, the tank has an operational range of 450km and posseses a L30A1 120mm rifled gun as its main armament, although these were scheduled to be replaced by Rheinmetall’s L55 smoothbore gun. A feature of the Challenger 2 and unique to the British Armed Forces, the MBT contains a boiling vessel inside the tank’s accommodation, allowing operators to produce tea and boil-in-the-bag meals. A modernisation of the T-72, Russia’s answer to the third generation of MBTs is the T-90. Technically a development of the T-72, the MBT boasts the addition of a 125mm smoothbore tank gun, a new engine, thermal sights and explosive-reactive armour comprising a blend of steel, composite and Kontakt-5. First entering service in 1995, the T-90 costs between $2.77-$4.25m a unit and comes fitted with a three-tiered protection system, comprising of composite armour in the turrent, Kontakt-5 ERA armour and a Shtora-1 countermeasure suite. The latest development of the T-90, the T-90M, is currently a prototype version that looks to feature new explosive reactive armour, an improved turret, new gun and thermal imaging systems supplied by Thales. Developed by Krauss-Maffei for West Germany in the early 1970s, the Leopard 2 tank entered into service in 1979, succeeding the Leopard 1 to become the army’s main battle tank. "50 German Leopard 2 tanks are due to be upgraded to the 2A7+ variant, starting in 2012." 3,480 were manufactured, although the tank’s first combat experience was not until the conflict in Kosovo. More recently, the tank has seen action with Danish and Canadian forces in Afghanistan. 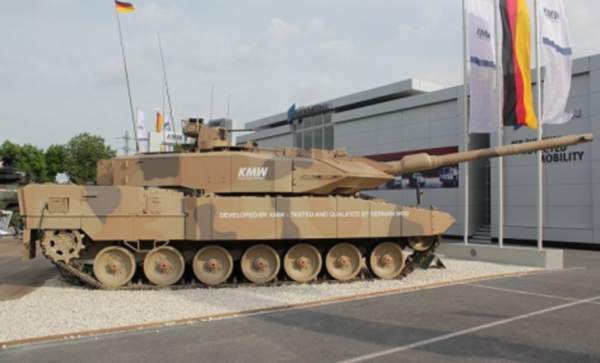 The latest variant of the vehicle is the Leopard 2A7+, developed by KMW and tested by the Bundeswehr as a potential solution to evolving combat demands. The 2A7+ variant is designed to operate in low intensity as well as high intensity conflicts, increasing its performance in more urban environments. The tank’s protection has benefitted from increased modular armour and frontal protection has been boosted through the addition of a duel-kit on the turret and hull front. The tank’s survivability in urban environments has been significantly improved with 360 degree protection against RPGs and mines, while the tank is now capable of firing programmable HE munitions. 50 German Leopard 2 tanks are due to be upgraded to the 2A7+ variant, starting in 2012. China’s third generation MBT, the Type 99, is currently the most advanced MBT fielded by the Chinese People’s Liberation Army, but predictably comes at a more extravagant cost than its rival, the Type 96, at approximately $2m a unit. 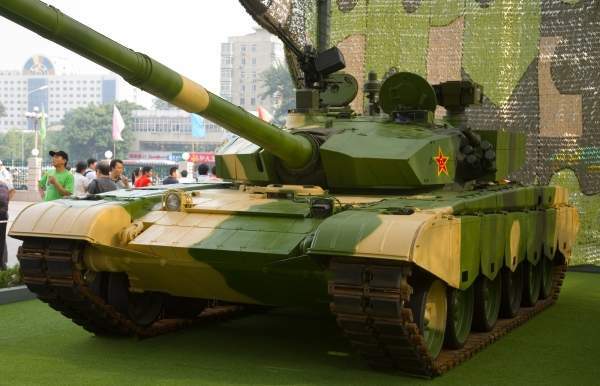 Upon completion of its processor, the T-98, the Chinese Government continued research into improving the tank and refining the technology in order to produce a third generation tank that could rival those used by the US and UK forces. It was not until 2001 that the Chinese Government officially released the Type 99, boasting a 1,500HP engine and a sloped-arrow armour plate, as well as composite armour layers. Since the Type 99 was unveiled a series of upgrades, including the 99G, 99A, 99A1, and 99A2, have contributed to the newest variation – the Type 99KM, currently being trialled by the Chinese armed forces. The 99KM comes with a newer modular active protection system, JD-4 active laser defence system and a 155mm gun, capable of firing next-generation kinetic rounds. "There are currently three regiments of 50 tanks in service with the Indian Army, with a total of 496 Arjuns ordered to date." 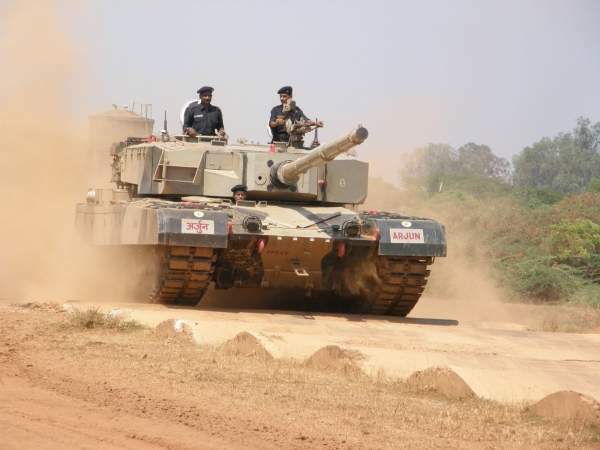 The third generation Arjun Main Battle Tank has been developed by the Defence Research and Development Organisation for use by the Indian Army. 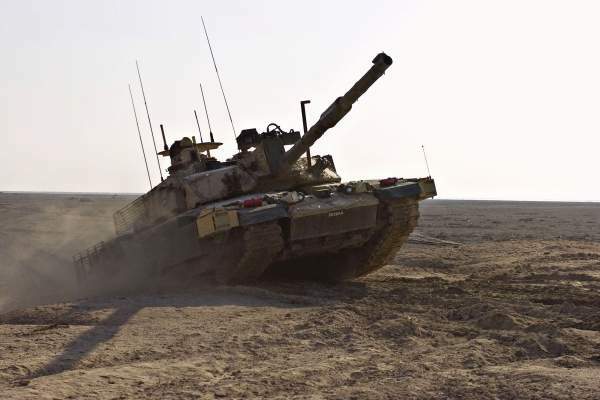 The tank finally entered service in March 2011 following a series of delays and developmental issues, and performed well against T-90 tanks in comparative trials. The MK-II variant of the vehicle is being developed in coordination with the Indian Army, featuring modifications specifically recommended by the army to improve its performance and amend issues that have arisen through its use. The main improvement is the vehicle’s ability in urban environments, with a number of key defensive aids being implemented onto it. Laser warning systems and an Infrared Jammer and an aerosol smoke grenade system are amongst the technologies added to the upgraded variant, as well as various operational tweaks such as an improved 1500HP engine. Costing approximately $3.5m a unit, the Arjun MBT carries a crew of four and its main armaments include a 120mm rifled tank gun and LAHAT anti-tank missiles. There are currently three regiments of 50 tanks in service with the Indian Army, with a total of 496 Arjuns ordered to date. As the third generation MBTs look to further increase their capabilities, a range of options in protection and operation are beginning to come to the fore. BAE’s Adaptiv technology, demonstrated at this year’s DSEi exhibition in London, includes the provision of robust armour panels that can be programmed to render the vehicle invisible to infrared by rapidly changing temperature in order to blend into the vehicle’s surroundings. The technology behind the panels, made in collaboration the Swedish Defence Material Administration, is a closely guarded secret of BAE’s, but information is continuing to be shared with the UK Ministry of Defence.